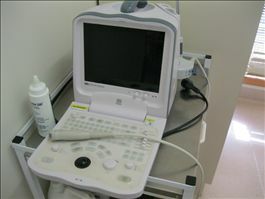 We have an ultrasound machine that we can use to investigate disease in your pet and to help diagnose pregnancy. While our Vets do perform excellent medicine and surgery at our practice sometimes we need the help of specialists for those tricky and more complex cases; find out more about our consultant internal medicine and ultrasound. 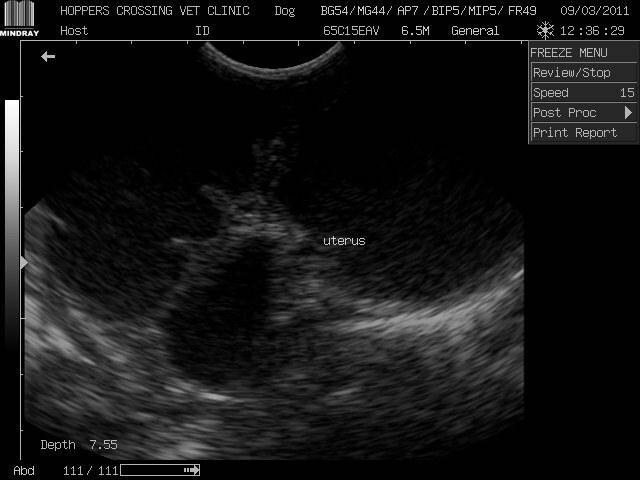 This image is of an infected uterus (pyometra) in a dog.